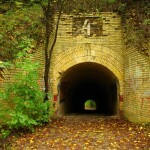 – Lysogirsky Fort – is one of the fortifications of Kiev, it was a part of the New Pechersk Fortress, located on the historic site – Bald Mountain. 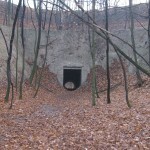 After the purchase by the city authorities of the territory, the construction of the Lysogorsky Fort of the New Caves Fortress had been started here since 1872. The fort was surrounded by a dry moat, surrounding earthen ramparts (up to 12 m high), bricked with tunnels. Several thousand soldiers could accommodate in its barracks. The size of the fort was up to 800 m in depth. But the fortress was not involved in any war. The fort had been transformed into military warehouses and a garrison prison since 1897. 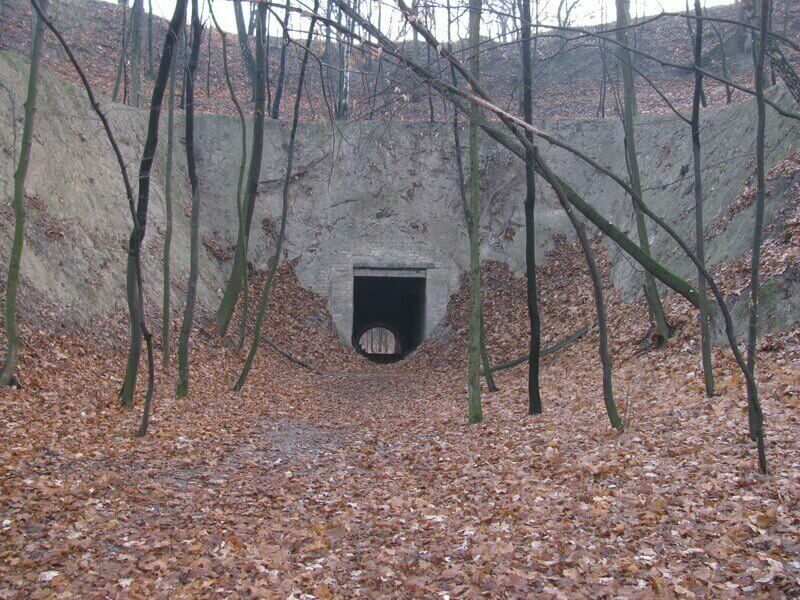 A secret tank repair plant was built here in the 1930s. 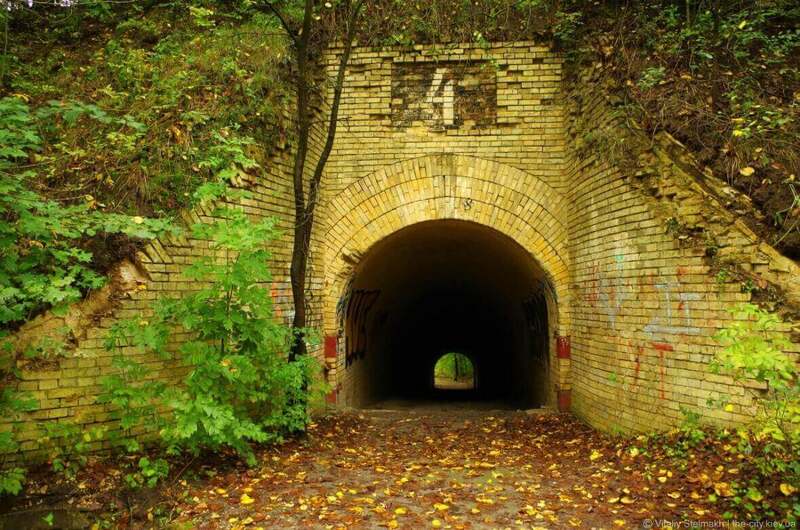 During the German occupation, the factory was used by the Germans – it housed the German tank base “Tiger”. Today, the remains of the Lysogorsky Fort are a monument of military-defense architecture and are a part of the Kiev Fortress Museum. – Remains of earth ramparts – the height of the earth ramparts of the Lysohorsky Fort reached 10-12 m. Under the earth ramparts, there were lost (tunnels for communication between fortifications or strong points) with a length of up to 40 m. First the posterns were built, then the ramparts were filled up. This is confirmed by plaster on the outside of the brickwork of posterns. Almost all earth ramparts preserved well, and even nowadays their correct forms are seen. There is also a paved road. – Bastions, redoubts, posterns – Under the earth ramparts were laid the posterns (tunnels for communication between fortifications or strongholds) with a length of up to 40 m. First the posterns were built, then the ramparts were filled up. This is confirmed by plaster on the outside of the brickwork of posterns. The posterns were closed with bars on both sides (the rest of the grate grew into a tree near the 2nd postern). Also, grooves were provided in the walls to cover the posterns if necessary (slots were inserted in the slots from the boards and the space was filled with ground or mined). Grooves in the walls are well visible in the 8th postern. Underground water tanks were built, to flood the fortress in case of occupation by its enemy. From the fort preserved paved roads, 8 underground galleries, boreholes, drainage systems and ramparts. On the walls of fortifications preserved inscriptions of the ХIX – ХX centuries, made by sentry soldiers.